Last Friday it rained, hard. Inside the gym though, it was bright and sunny, thanks to neon shirt day when everyone was encouraged to wear a dayglow t-shirt to the circuit workout. Believe me, working up a sweat with 30 active humans clad in hot pink, orange and chartreuse t-shirts was a sight for winter-weary eyes. A pleasant surprise. Surprises, good or bad, are a part of life. As the saying goes, it isn’t so much what happens in life, but how you react to it. In the garden, surprises can appear in many ways: The first primrose of spring, fresh spinach, fewer slugs, an empty bird nest on the ground. Surprises can also bring on confusion and frustration. For example, deciphering soil test results with all its numbers and acronyms, can be a daunting task. How much N, P, K should be in my soil? Can you have too much boron? What is a good pH for tomatoes? Casey also cautioned growers to not get too wrapped up in the numbers. After all, you can’t reduce gardening into a scientific equation. There’s so much more going on. Stuff we cannot see. It’s easy to get thrown off, even angry, by surprises and situations that don’t make sense. The first thing to do is pause and relax. That’s when answers come to you. To take it one step further, surrender and trust your intuition. That’s what Luther Burbank did. 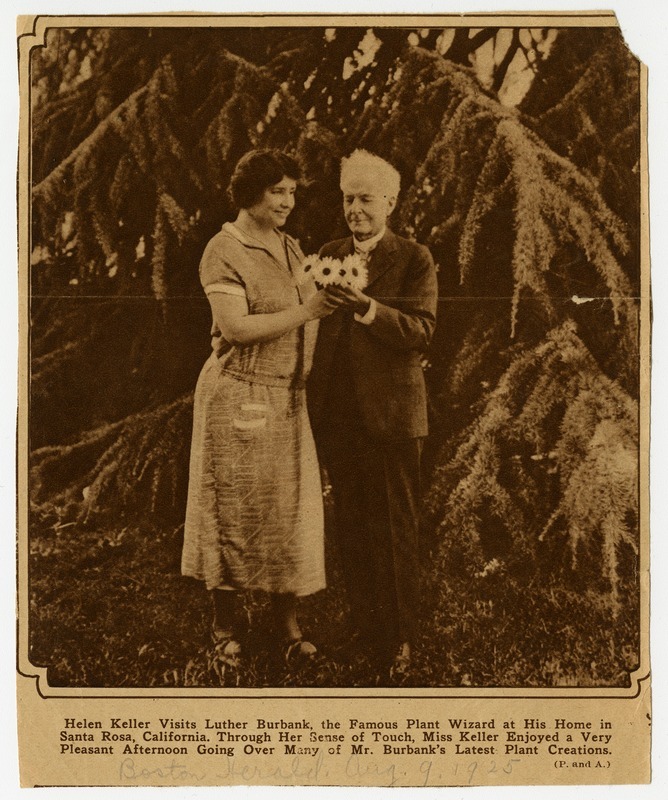 Luther Burbank is one of history’s most inventive and productive plant breeders. For nearly 50 years he developed over 800 strains and varieties of plants, including plums, prunes, peaches, and berries; the Shasta daisy and the Burbank potato. 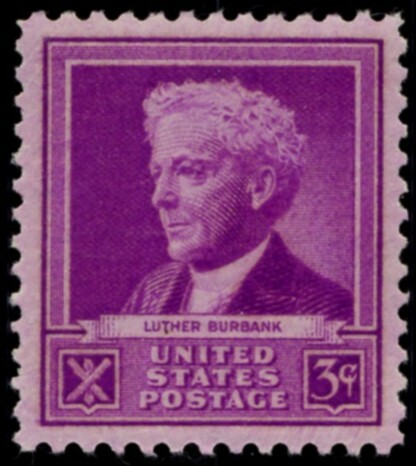 In some ways though, Luther Burbank remains a mystery to many biographers. He had little formal education, yet he managed to conduct 3,000 experiments at once, crossbreeding and grafting plants to come up with new and improved kinds. Over many years of working with plants, he practiced and developed a strong intuition, or inner knowing. His lab was a simple cottage. He kept notes on envelopes and brown paper bags. Just watching him work left researchers scratching their heads. His methods were non-traditional. For example, to select superior plants, Burbank simply walked down a row of thousands of seedlings, and without breaking his stride, yanked up and tossed aside the ones he didn’t want. Luther Burbank’s home and garden in Santa Rosa, California. Okay, so maybe you don’t carry on two-way conversations with trees and flowers, but I encourage you to be a little more receptive while working with plants. If, while transplanting lettuce seedlings for example, you get an inkling to set them behind a row of beets, don’t ask questions; just do it. I believe her. Each one of her cabbages yielded over 30 quarts of sauerkraut. Last week, on my way home from the gym, I stopped by Strawberry Fields Nursery to pick up some potting soil. There, in front of the building, was a beautiful clump of purple primroses. I came for dirt, but discovered so much more. What a pleasant surprise. Every child should have mud pies, grasshoppers, water-bugs, tadpoles, frogs, mud-turtles, elderberries, wild strawberries, acorns, chestnuts, trees to club, brooks to wade in, water-lilies, woodchucks, bats, bees, butterflies, various animals to pet, hay-fields, pinecones, rocks to roll, sand, snakes, huckleberries and hornets; and any child who has been deprived of these has been deprived of the best part of his education. Spend the money to get a professional soil test from your land grant university. It will often be a little confusing. That would be the time to buy your favorite master gardener a cup of coffee, black please, and ask for a translation. Sometimes the results are not that good. Amendments will be needed. You WILL need another soil test next year to see if you’re headed in the right direction. Good points! Fortunately, our extension agents in Alaska will translate test results for free. A blessing for sure, with or without the coffee. Cheers!